A dominant display from the Portuguese National Team led them to a 3-0 victory over a lowly Azerbaijan side. The hosts showed much of the attacking prowess that they lacked against Luxembourg, and were unlucky that the scoreline was not higher in their favor. The team struck the crossbar an astonishing five times, as they ruthlessly attacked the Azerbaijani goal. The game started brightly, which could not have been said about last week’s game against Luxembourg. Portugal were fully in the driving seat against Azerbaijan, and almost all of the action came from the home side. Joao Pereira and Raul Meireles both had efforts beaten away by the opposition goalkeeper in the opening exchanges between the two teams, before Helder Postiga almost finished off a wonderful team move, only to be denied by the crossbar. Joao Moutinho would then feel unlucky to see two excellent shots not translate into a goal, when one was saved by the keeper and the other thundered back off the crossbar. Portugal would continue to press, with Raul Meireles and Helder Postiga both coming close (the latter of which hit the crossbar). The half ended with the scores still even at 0-0 and Portugal wondering how they were not yet winning. The second half started much the same as the first. It was evident that Portugal was hungry for a goal, and their play reflected that. Bruno Alves had a header saved soon after the restart, and Ronaldo went close soon after that on three different occasions. The goal was not far off, however. Silvestre Varela was substituted on for Miguel Veloso just after the hour mark, and the substitute made an immediate impact. Some sloppy defending from Azerbaijan opened up a golden opportunity for Varela, who calmly slotted the ball home for his third international goal. That goal did not cause Portugal to slow their attack, however. The Seleccao continued to press, but were constantly thwarted by either the post or the Azerbaijani goalkeeper. The second goal duly arrived a little more than twenty minutes after the first one. A pinpoint cross from Raul Meireles found Ronaldo, whose redirected his header into the path of the onrushing Helder Postiga, who poked the ball home. 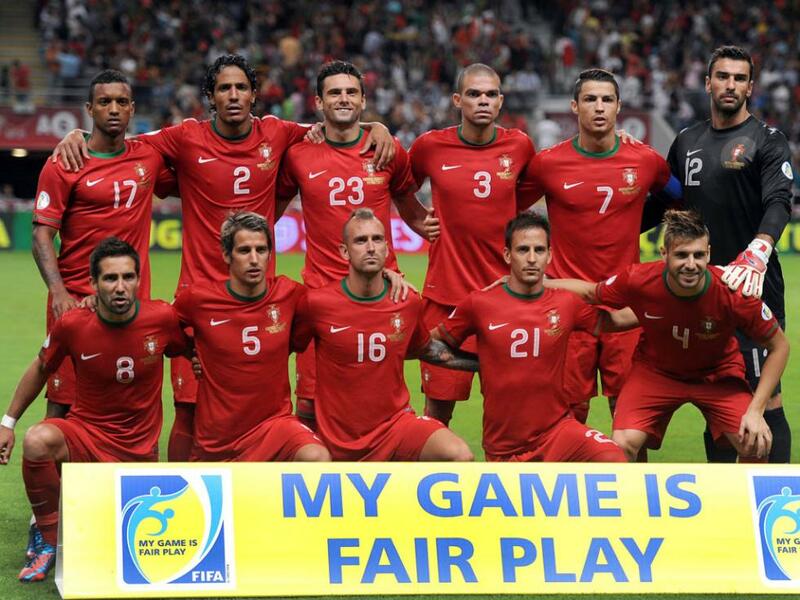 Portugal was not done, however. Joao Moutinho’s corner kick soon after was met with a thumping header from Bruno Alves into the upper right-hand corner to make the score 3-0. In the dying minutes of the match, Eder was substituted on to make his debut for the Seleccao. That was how the game ended: a comprehensive 3-0 victory for the hosts.